Have you ever seen the magnificent Aurora Borealis, nicknamed the Northern Lights? They are visible through Winters, specifically in Northern regions such as Alaska, Lapland and North of Canada. They are truly a sight to behold. 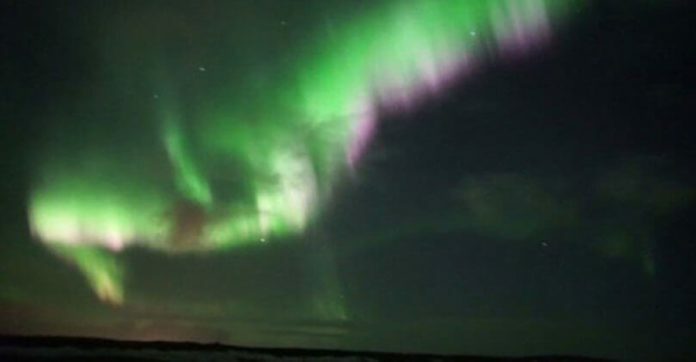 One man has been extremely lucky to date, as he captured the brightest and strongest display of colors across the northern hemisphere – all on camera! It was measured at 9 kp on a scale of 0 to 9 – it was the strongest display to happen so far, in a decade. Check out the Northern Lights below! It is my dream to travel up north to view these color displays, too!